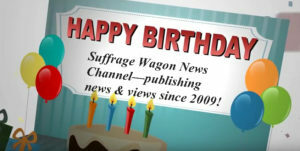 Marguerite Kearns, anchor, recommends this vintage song, “In Her Sphere,” performed by Elizabeth Johnson at Suffrage Wagon Cafe. We’re preparing for upcoming centennial celebrations recognizing the first wave of the women’s rights movement in the US. This is a song likely performed when the “Spirit if 1776” campaign suffrage wagon was used by Edna Kearns and others at special events and fundraisers. LetsRockTheCradle.com was launched in 2013 when Olivia Twine and Marguerite Kearns sponsored a blogging tour of the “Cradle” of the US women’s rights movement in the US. 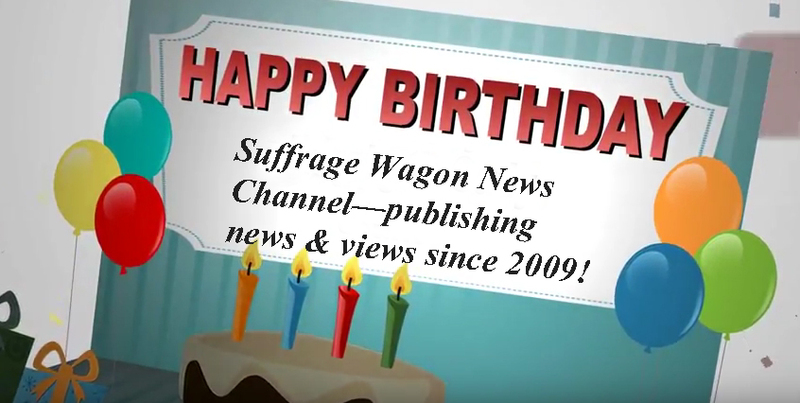 Now it’s a media resource for communicators interested in covering the 2020 votes for women centennial—the 100 year observance of the 19th Amendment that preserved voting rights for women in the US Constitution. Like hearing these vintage songs. A reminder of the importance of the cultural link.